The time has come. I'd already sensed that Gizmo's AGM batteries were on borrowed time; But the real issue is what to do next. 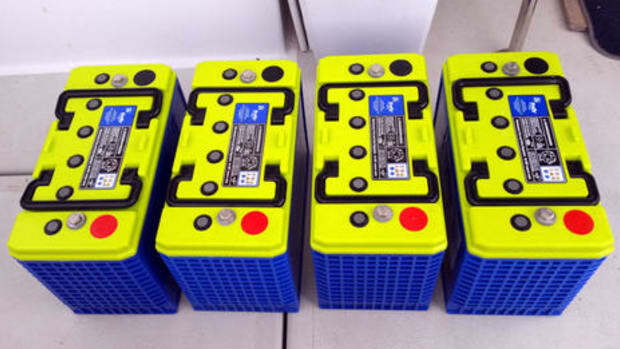 Marine batteries, their design, use, and charge/discharge abilities, have been a subject of intense interest within the recreational marine industry for decades. I clearly recall a meeting many years ago, when I worked as a boatyard electrician. I sat in the yard managers office with the manager and one of our long-time customers, a fastidious naval architect who had recently completed a roundtrip passage from New England to Bermuda aboard his 40-foot sloop as part of an organized race. In his hand he had a sheaf of papers which contained neatly written columns recording battery voltages, amperes being used, and the time that each reading was taken, which was roughly hourly, as well as an indication of when and how long the engine was used for charging purposes. 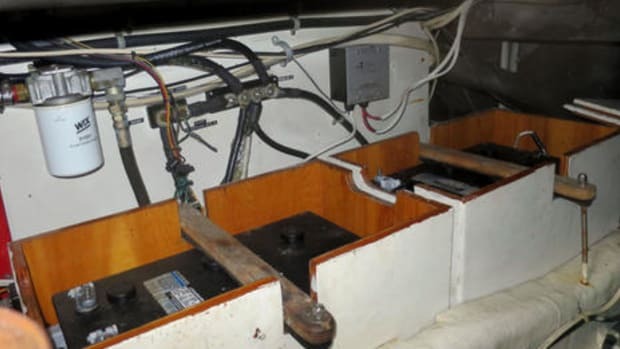 He was less than content with the ability of his house battery bank to provide for the modest electrical needs of the vessel. It was equipped, of course, with cabin and navigation lights, communication equipment and radar (the latter only being used occasionally at night), as well as a few other small accessories. Even by the standards of the time, the late 80s, it was an electrically simple boat, yet, the batteries could keep up with its needs. In Part I of this two-part series, we discussed four key factors to consider in preparing for plugging into international power: line frequency, nominal voltage, voltage fluctuations, and physical connection requirements. In Part II, we'll look at three approaches to preparing your boat for connecting to international shorepower, and we'll outline the advantages and disadvantages of each. The first approach to preparing your boat for connecting to shorepower overseas is finding "power-tolerant" equipment. If you're careful and selective, it is possible to locate equipment that will run on most international power. Be sure to check the specifications for frequency range as well as voltage. Many of the small plug-in transformers that we use to power our laptop computers, digital cameras, and cell phones, for example, will run on just about any power from about 100 to 250 volts and 50 or 60Hz. Check the labels carefully.